Turning science into a tool for the vast majority of humanity is one of the objectives of the Brain and Mind International Conference on advances in clinical neuroscience and psychiatry, which began today in this capital. 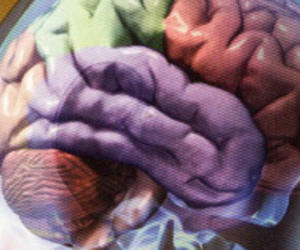 In an interview with Prensa Latina, Professor Pedro Valdes, vice director of research of the Neuroscience Center of Cuba, noted the explosion of research being conducted in the world on the brain, marked mostly by European and North American projects on brain mapping. According to the academic, at no other time in history has so much investment been made in developed countries for brain research. Currently analyzing brain disease as a cause of loss of years of life, an effect known as global burden disease, is a focus of interest, he said. Conditions such as obesity, which people did not consider as a brain disease, are now included in the statistics, said Valdes. This international congress was initially a form of exchange between a group of Italian and Cuban scientists, but was internationalized with the presence of high-level specialists from other countries as well, explained Valdes. The conference, which will be held until Wednesday at Havana's international conference center, the Palacio de Convenciones, will be attended by delegates from Italy, Britain, Canada, Mexico and Brazil and about 130 Cuban specialists. Referring to the brain mapping project, which has been implemented in Cuba for more than 30 years, the scientist said Havana's Neuroscience Center was preparing to receive new equipment in order to be at the height of international research.